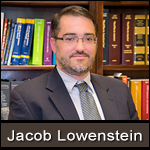 Living Will and Healthcare "Power of Attorney"
Divorce and Family Law Attorney. Our lawyers serve the greater Toledo, Northwest Ohio and Southeast Michigan areas, including Perrysburg, Toledo, Sylvania, Maumee, Bowling Green, Holland, Ottawa Hills, Ohio - Temperance, Lambertville, Monroe, Michigan and the surrounding areas. Contact the law offices of Billmaier & Cuneo, LLC, today by calling 419.931.0067 (Ohio) or 734.568.0136 (Michigan). When dealing with divorce, dissolution, a child custody dispute, or any other type of marital and family law matter, it is important to have an attorney who is knowledgeable, experienced, and passionate in representing your marital and family law rights. Marital and family law cases can be quite complex and require a detailed approach to effectively achieve your desired results regarding divorce and family law issues. 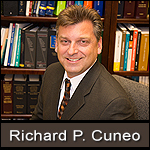 Billmaier & Cuneo, LLC aggressively defends the legal rights of each and every one of our marital and family law clients, while addressing all related issues that should be taken into consideration concerning a client’s matter. 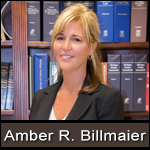 If you are currently involved in, planning, or considering entering into a divorce or family law dispute in the Perrysburg, Toledo, Lambertville or the Northwest Ohio and Southwest Michigan areas, contact an experienced attorney (lawyer) at Billmaier & Cuneo, LLC today by calling 419.931.0067 in Northwest Ohio or 734.568.0136 in Southeast Michigan. As a progressive law firm dealing with today's legal issues, we provide you the voice of experience, and quality legal representation in your goals regarding a divorce, or other marital and family law legal needs. Contact and experienced attorney the law offices of Billmaier & Cuneo, LLC, today by calling 419.931.0067 (Ohio) or 734.568.0136 (Michigan). 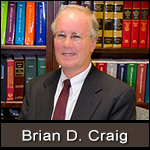 Commercial & Business Law, Malpractice Defense, Probate and Estate Law, Divorce and Family Law, Criminal Defense, DUI Defense, Bankruptcy, Foreclosure Defense, Social Security Disability Benefits, and Supplemental Security Income Attorney & Lawyer legal services for the following areas: Perrysburg, Toledo, Rossford, Maumee, Lime City, Roachton, Walbridge, Monclova, Bowling Green, Waterville, Oregon, Sylvania, Ottawa Hills, Northwest Ohio, Lucas County, Wood County, Lambertville, Temperance, Ottawa Lake, Samaria, Erie, Luna Pier, Monroe, Hillcrest Orchard, La Salle, Southwest Michigan, Monroe County. 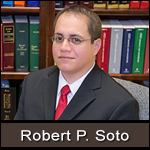 Legal Disclaimer: The information provided on this website is for informational purposes only. Please consult with your attorney of choice to receive specific legal advice on your matter. The information presented at this site should not be construed to be formal legal advice nor the formation of a lawyer/client relationship.